My name is Ivette and I’m guest posting on Candace’s blog today. She sent me out on assignment yesterday! Where? On a huge, red, London-esque double-decker bus, of course! 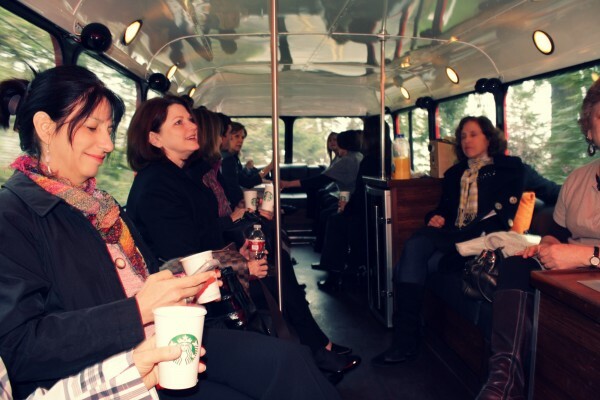 Yup, at 10 am me and a gaggle of Windemere real estate agents boarded the cherry red bus for a royal real estate tour. 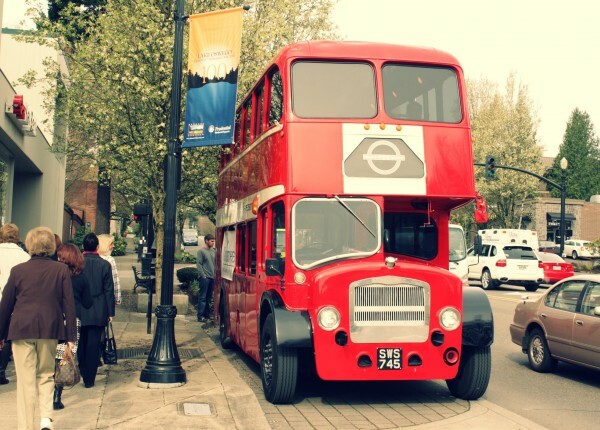 Like most places, Lake Oswego is aflutter with talk of the upcoming Royal Wedding, so why not view homes via a Brit approved bus! We sipped mimosas and watched the gorgeous scenery of West Linn, Oregon City and Lake Oswego whizz by. 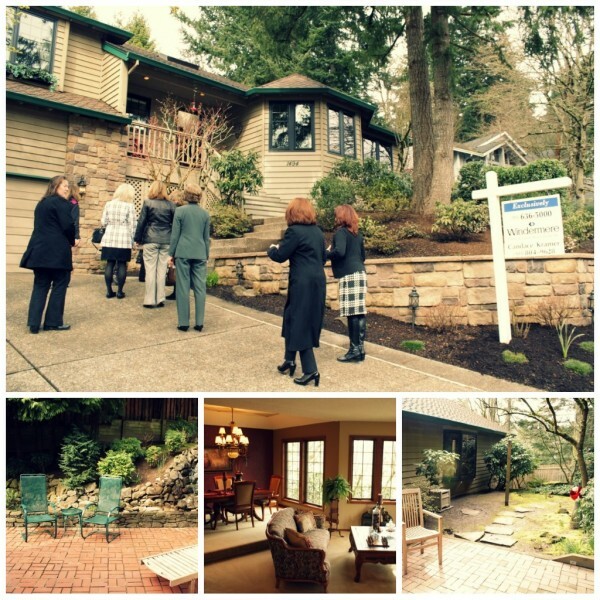 Our first stop was Candace’s listing…a lovely home in West Linn…click here for the listing info and more pics. From house to house we traveled, up winding hills and over bridges, laughing at the crazy hair pin turns and gasping as our big red bus careened down hills and narrow passes. The sun finally made an appearance and brightened the experience. Each home offered something different – a beautiful view, a glamorous bathroom, a slice of history. It was a lovely way to spend a few hours and I felt lucky to get the chance to go! Go take a peek at these gorgeous homes! Thank you Candace, for sending me on this adventure. p.s. Looks like the bus was spotted around town (it’s kinda hard to miss) and was featured on KATU…see here!